Ensure you're prepared for whatever comes your way with our Mountain House 2 Day Emergency Kit. This easy-to-store 2-day kit includes 15 total servings of our most popular breakfast, lunch and dinner entrees to get you through anything. Designed to fuel one person for 2 days or to share with another for 1 day, you can use it alone or combine it with other Mountain House Emergency Food Supply kits to meet your specific needs. 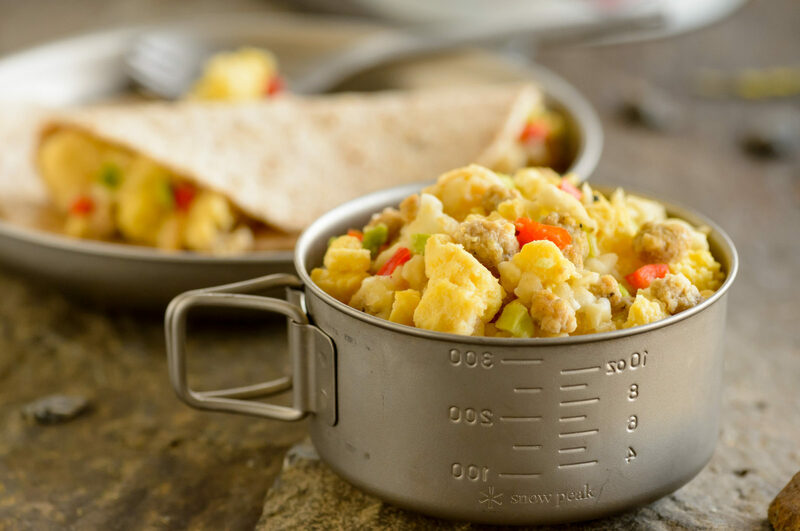 Breakfast Skillet (2 pouches)— Crispy hash browns, scrambled eggs, sausage, onions and peppers are the perfect start to the day. 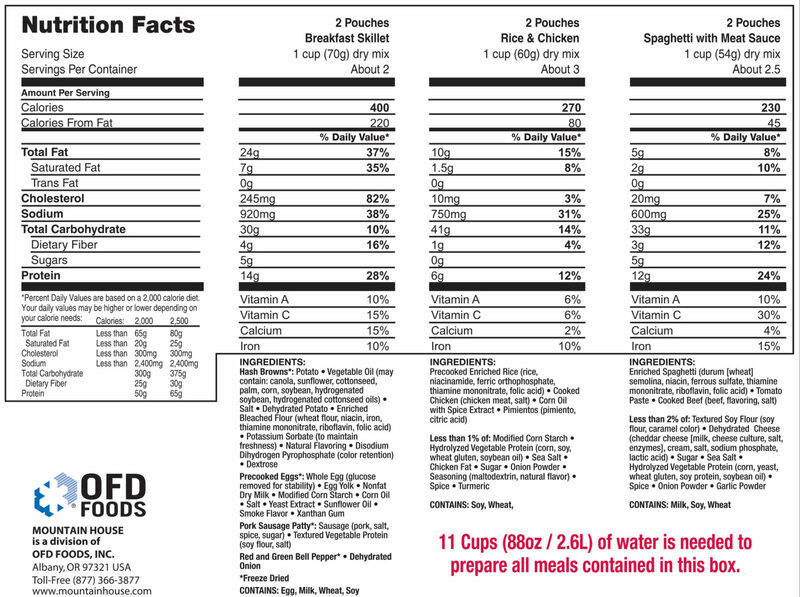 Each pouch yields two 1-cup servings. Spaghetti with Meat Sauce (2 pouches)— The ultimate comfort food. Each pouch yields three 1-cup servings. 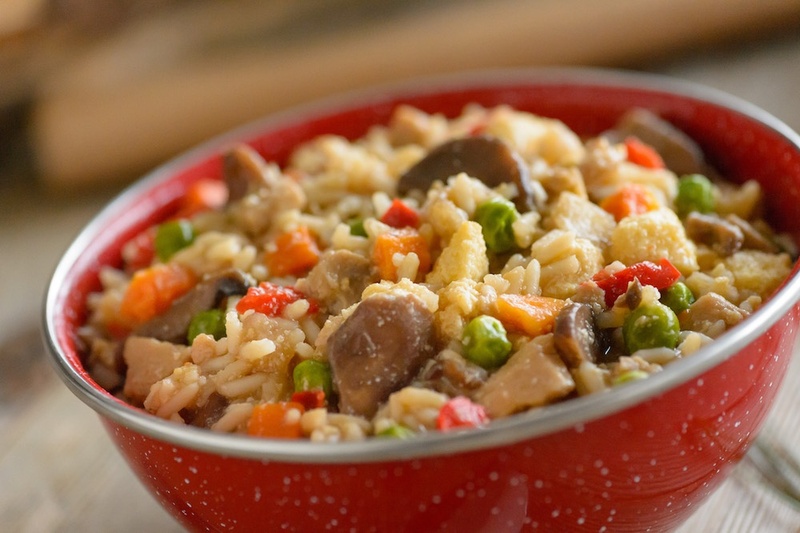 Rice & Chicken (2 pouches)— Pimientos, rice and chicken blend together in a savory sauce. Each pouch yields three 1-cup servings. 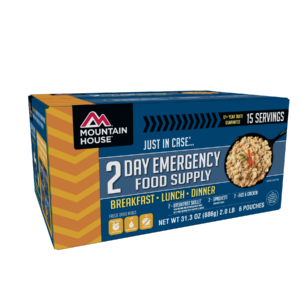 Whether you store it in the trunk of your car or in your kitchen for emergency food storage, Mountain House's 2-Day Emergency Food Supply is guaranteed to satisfy when you need it most. Thanks to our Taste Guarantee, you can expect our meals to taste fresh for 30 years after they're made. 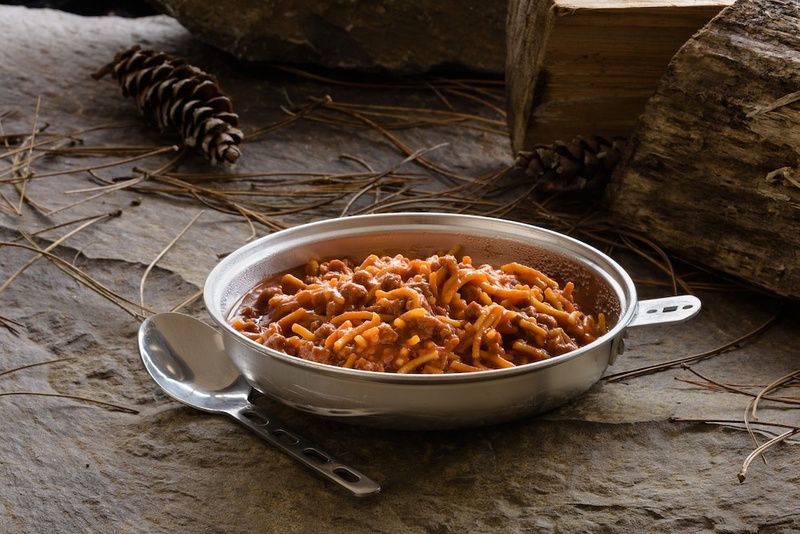 With the longest shelf life in the industry, it's no wonder that so many emergency food storage preppers and brave explorers choose Mountain House.